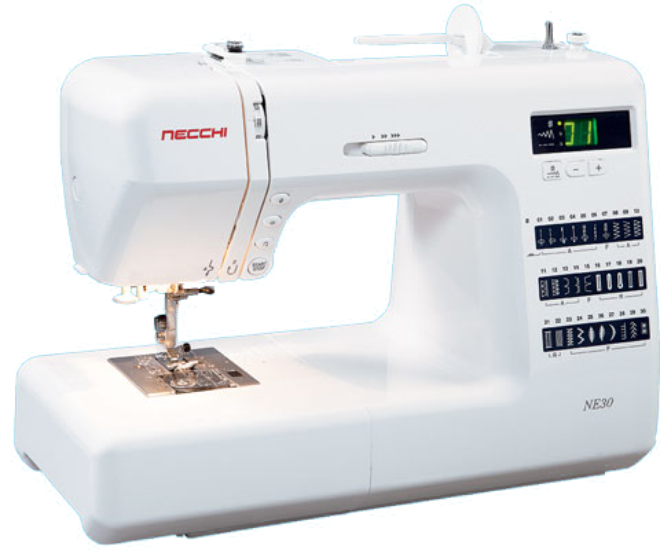 If you are an enthusiast looking for a long term hobby in sewing or if you have outgrown your mechanical sewing machine, the NE30 is the perfect step. With 30 built-in stitches and easy to read digital display, you’ll be sewing like a professional in no time. By the needle, you’ll find several great convenience buttons for easy sewing including a Start/Stop button to sew without a foot control, easy reverse button, locking stitch button and needle up/down button.